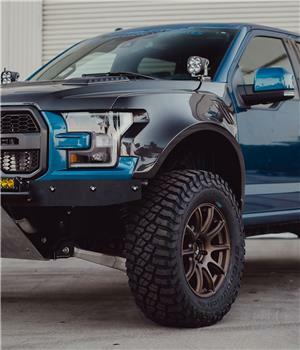 Anderson Composites is expanding its Raptor product line to now include a wider carbon fiber front fender and rear flare for the popular 2017 – 2018 Gen 2 Raptor. These carbon fiber front fenders feature a new design that incorporates an extended 5” flare that is seamlessly molded to a shorter-than-stock Raptor style fender. The height measures 2” up from the OE position. These fenders feature a removable side vent and are also compatible with a factory or Anderson Composites carbon fiber Raptor hood. The rear fender flares extend 2” from the truck bed wall and have an inner wheel well opening of 39-1/2” at the widest point. Fender flare mounting locations are the same as the factory for ease of installation and fitment with the OE hardware. 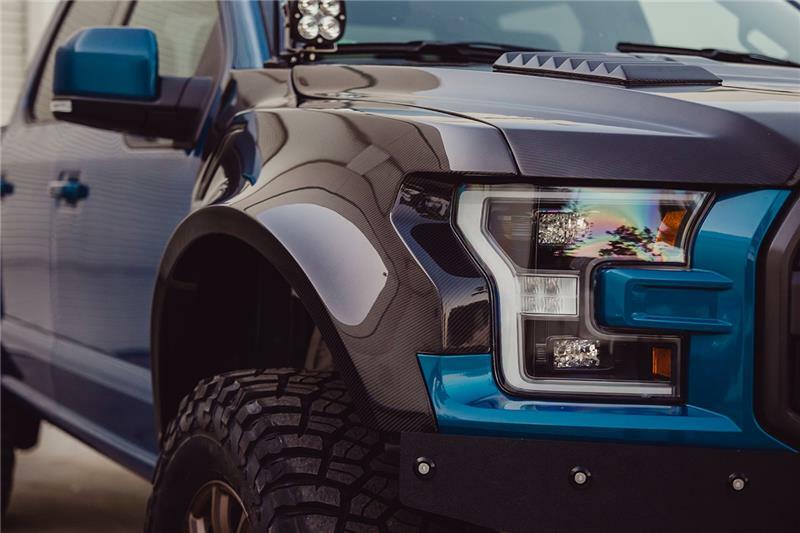 The fenders and flares are made of high quality 3k, 2×2 carbon fiber twill fabric and high-grade marine resin with UV inhibitor and mount to the factory locations with the OE hardware for optimal fitment. These carbon fiber fenders and rear flares have great show quality looks with a high-luster finish.